performance to get your favorite shows and movies instantly. Support Dual Screen Display: Equipped with VGA and HDMI dual outputs for dual monitors. You can easily run two or more applications in full view simultaneously. Double the efficiency, simplify your work and reduce unnecessary waiting time. 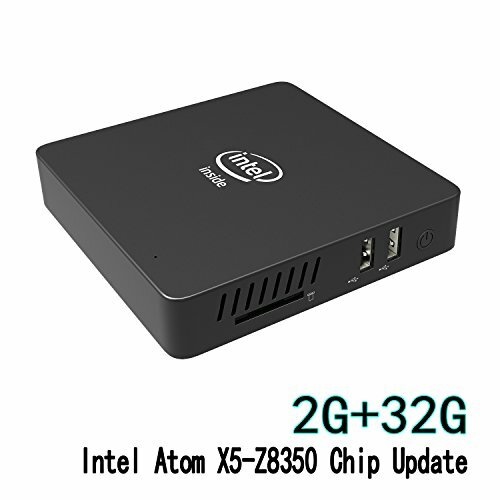 [Package Contents]: 1x Z83-W Mini PC; 1x Power Adaptor; 1x HDMI Cable; 1x User Manual. It support Auto Power On after Power Failure. If you have any questions about this product by speed, contact us by completing and submitting the form below. If you are looking for a specif part number, please include it with your message.